Join the Exotic Limo Fleet Today! ExoticLimo Australia is universally acknowledged as the première luxury limousine transportation company in Australia. Our current fleet is made up of award-winning, state of the art, luxury stretch limousines, stretch Hummers, sports cars, classic cars, super cars and luxury sedans – AND WE’RE LOOKING TO EXPAND OUR FLEET! 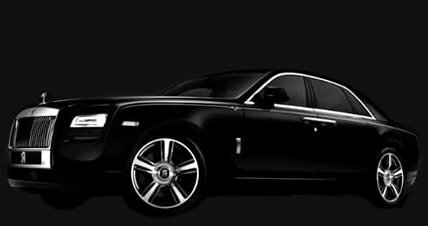 – Are you an owner/operator of a luxury stretch limousine, stretch Hummer, sports car, luxury sedan or other mode of lavish transportation? – Would you be interested in allowing ExoticLimo Australia to advertise your services and take bookings on your behalf? If you are amazing at delivering your product/service but struggling to bring in a constant flow of work – ExoticLimo Australia CAN HELP YOU! Due to the success of our company, we have recently evolved our business model, allowing us NOT ONLY to run our own fleet, but also TAKE BOOKINGS for other operators in our industry who possess high-quality luxury vehicles and who run reputable/professional services. Our professionally trained sales and marketing team work tirelessly around the clock to book out YOUR limousine/s on your behalf. If you believe your company could benefit by working with ExoticLimo Australia, we’d love to hear from you. Simply call up on the numbers below and arrange a meeting with us to discuss your fleet. There are multiple tiers available for your business to sign up to, meaning we can facilitate as much or as little control of your bookings for you. Whether you are requiring the odd booking here and there, or would like to stop dealing with the administration and sales side of your business all together and allow us to aquire all your bookings for you, we can facilitate as much or as little as you require. Literally the WORST customer service I have even expeirenced in my life.All our times were booked wrong even though i had emailed Warren the correct cars and times for our wedding. Warren still managed to book it incorrectly and then to make matters worse deny any responsibility and put all blame onto my self even though I had confirmed via email the times required.Ended up in an uber home due to warrens inability to follow booking instructions. And to make mattets worse when contacting warren after the wedding he took absolutley zero responsibility and put all blame onto myself.  How can you blame the customer when the customer did all the correct things and it was your company who booked the incorrect times.DON'T book with them unless you want to throw money down the drain and get an uber in the end.Extremely dissapointigThere are plenty of limo companys to choose from i melbourne. stay away from exotic limo!!! I have been left shattered. My trip to Melbourne that took months planning and to surprise my mum and sister with a stretch Porsche, to only be told at the airport that the Porsche won’t be coming due to a starter motor issue, which they knew a day before but failed to inform me, to be given no other option then a crappy white hummer that was dirty and looked like garbage.Called Warren several times with no reply. The drivers were lovely. But the hummer was so ugly I would have preferred a maxi taxi. I didn’t pay for a hummer. I have used exotic limos before but never again!Worst service I have ever received. To just supply me with a crappy hummer with no consult knowing 24 hours before my booking and knowing I was paying the final payment a day before is just poor service. I try not to let things affect me, but this really has. I had a vision to surprise my family with the red carpet and all to get nothing like I was told I would get.Don’t risk your special event with this company! I would like to thank both warren and Tim for their wonderful booking service and for taking my frantic stressing sos calls and reassuring me all along that things were fine and on track. Most of all I'd like to thank them for providing the most amazing driver ever. Cam told me to make sure I wrote bad things about him 😜 Problem is I just don't have anything bad to say. From the beginning to the end this guy went above and beyond to make sure my son had a great year ten leavers and he sure did have an amazing day. I'm sure when I made this booking you all thought Yep I was crazy wanting a car shipped to tassie for a year ten leavers. It was SOOOOOO WORTH IT the Ferrari F430 Spider was amazing. We will be forever grateful. Cam was amazing doing everything he could to make us happy and gave us the most memorable day ever. I would highly recommend him as a driver and the company. Actually I hope he is still driving in 4 years time when my other son leaves year ten because he has the job for sure. Ten star service guys 😍😍😍😍😍😍😍 thankyou!!!! Very disappointing. Booking process for our event was excellent however the package we booked was not what was provided. There was a change in policy re alcohol which was fine however we weren’t notified prior. Package also included snack items which weren’t provided. Prior notice would have allowed us to plan for this. Driver was very pleasant and helpful however he was late picking up (with no prior call) which made us late for our destination booking. Issues with music connectivity and ice machine was also out of order. I have followed up countless times to speak to a manager / supervisor to provide feedback however nobody has bothered to return my call. All in all, very disappointing. I would book elsewhere. Very poor service. Driver dropped us off at our final photo location and was meant to pick our parents up from nearby and then return to the photo location and take us all to our wedding ceremony. Instead he picked up the parents and drove straight to the wedding ceremony, leaving the bridal party stranded. He only returned to pick us up after we called him (he said he didn't know where we were even though he dropped us off and had it written down in the booking!). This caused the ceremony to be delayed by 45 minutes and a huge amount of stress. We lost allocated time for family photos (which nothing can make up for) and rushed through parts of the reception in order to make up time. I have contacted the business and they refuse to deal with the issue and rather focus on peripheral issues raised in the complaint. They also then have the audacity to say they hope I will refer others to them. I wouldn't recommend them as they are completely unreliable.